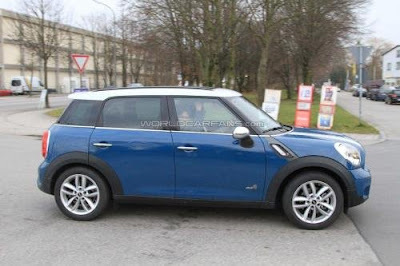 A few months ago appeared the first batch of spy photos MINI Cooper S Diesel, and now, as it were to happen, caught MINI Countryman Cooper S Diesel. 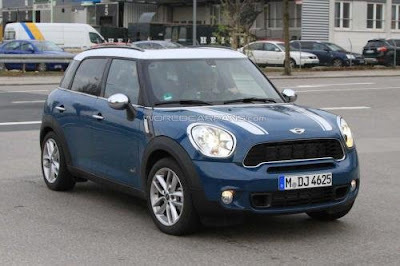 On the body MINI Countryman Cooper S Diesel 2011 has the same label «SD», as in his congregation, which may indicate that some features of the models will be identical. 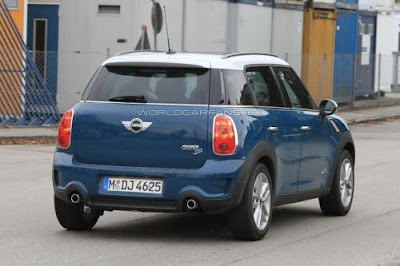 But seen spy photo prototype is not a sport version, since it is not noticeable presence of the double twin exhaust pipes at the center of the body novelties. Under the hood of this option is certainly available 1.6-liter diesel engine with capacity of around 140 hp (104 kW), which eventually will become the top of the range of diesel units. Perhaps for the same power, the company’s engineers have also added a new option and sports suspension.